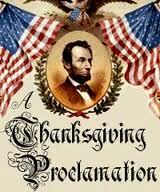 “I do therefore invite my fellow citizens in every part of the United States, and also those who are at sea and those who are sojourning in foreign lands, to set apart and observe the last Thursday of November next, as a day of Thanksgiving and Praise to our beneficent Father who dwelleth in the Heavens.” President Abraham Lincoln stated in his proclamation on October 3, 1863 which set the precedent for America’s national day of Thanksgiving. Prior to this, each state scheduled its own Thanksgiving holiday at different times, mainly in New England and other Northern states. Earlier, several Presidents of the United Stated issued Proclamations of Thanksgiving starting with George Washington in 1789. The first recorded Thanksgiving observance was held on June 29, 1671 at Charlestown, Massachusetts by proclamation of the town’s governing council. 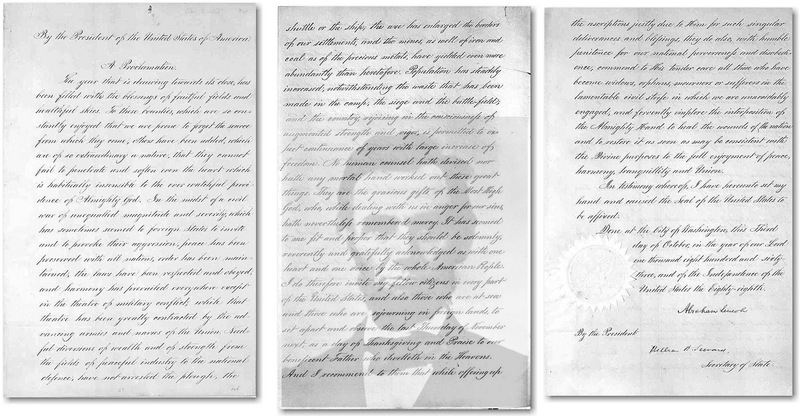 Lincoln’s Proclamation was a response to the letter from Sarah Joseph Hale, a 74-year-old magazine editor, urging the President to have the “day of our annual Thanksgiving made a National and fixed Union Festival.” Several predecessors ignored letters from Mrs. Hale.